The cost of your wedding flowers depends very much on the time of year, so if you want a huge display don’t choose to get married in the middle of winter when you’ll have to pay a fortune for sufficient blooms. You can have virtually any flowers you choose at any time of year, but, for the best value, always try to choose flowers in season.Spring and early summer are when the biggest choice of blooms is available – it’s something of a myth that flowers are easy to come by in the height of summer – though even in winter you can achieve dramatic effects with mountains of foliage and winter berries. When if comes to your wedding flowers, think classic whites, rich crimson reds, passionate deep purples or blazing blues, all set off by luscious green foliage. Do book your florist early. 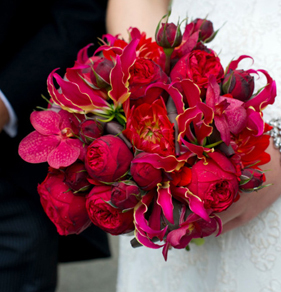 Good florists often take just one wedding per day so you need to book nine months to a year in advance. You won’t actually have to choose your flowers at this point, so don’t panic! Work out your budget in advance so your florist can advise on the best way to use it. What flowers will you need? Remember: If you’re having a religious ceremony, you may be able to share the cost of the flowers in the church with another wedding on the same day. Your minister will be able to advise you. If you’re marrying at a register office, you’ll probably find there is a fresh floral arrangement always on display. 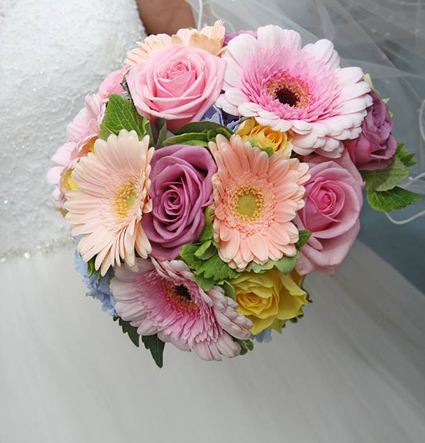 Some civil ceremony and reception venues may include certain floral arrangements in the cost. 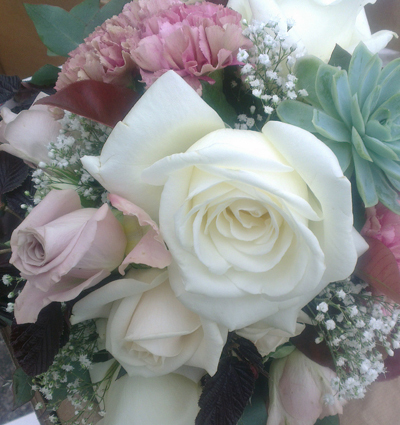 Check what is included and ask if you can choose the colours of the arrangements provided. 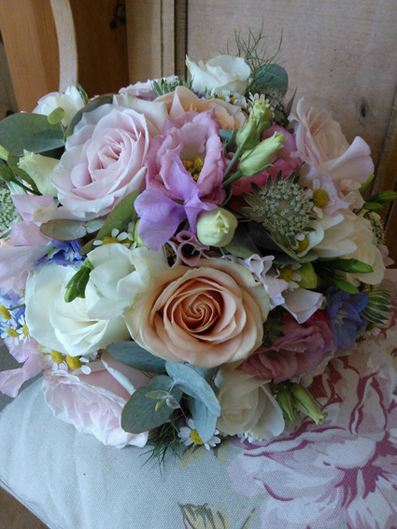 Independent florist specialising in wedding flowers and ffering both fresh and artificial flower displays. Finalist in this year’s South West Wedding Awards, and working from home so she offers competitive prices. Call for a free no obligation quotation. Hannah prides herself on providing a professional, unique service across the south west, working closely with every bride. She creates all the designs herself, personally ensuring both quality and uniqueness. And with 10 years’ experience she can provide both inspiration and endless ideas. Unique, imaginative wedding flowers re he speciality of this family business, established in Plymouth for over 60 years and now boasting six experienced and fully qualified florists. Flowers are sourced locally where possible and Dutch wholesalers are always on hand to provide fresh flowers on a daily basis, as well as to source the most exotic of blooms if required. MoreThanPerfectWeddingFlowersForYou is a well-renowned florist who offers a variety of high-quality artificial and affordable flowers. A South West Wedding Awards winner and long term awards finalist, they are delighted to be a finalist again for 2019! Their passion for excellence has always and continues to drive them. Owner Janet Mann believes that every product counts, and strives to make the entire experience is as stress-free and as exciting as possible. 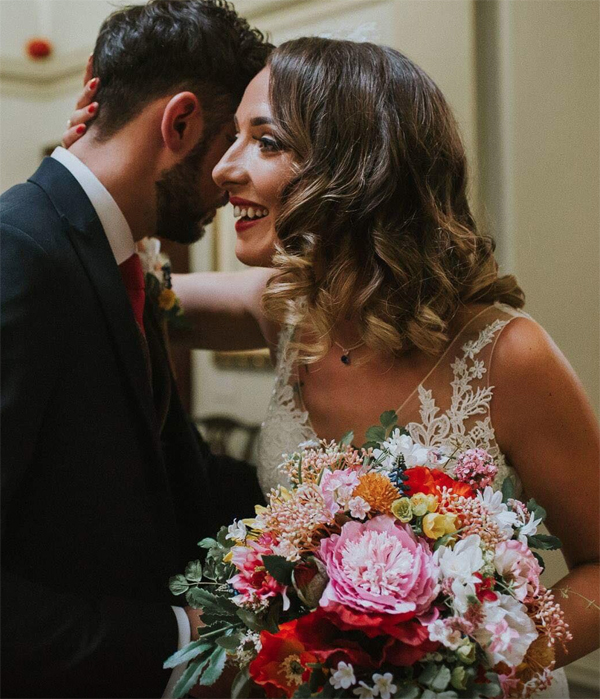 Brides on a budget can save money – and enjoy the excitement of creating their own wedding flowers – with the help of Peamore Flora. 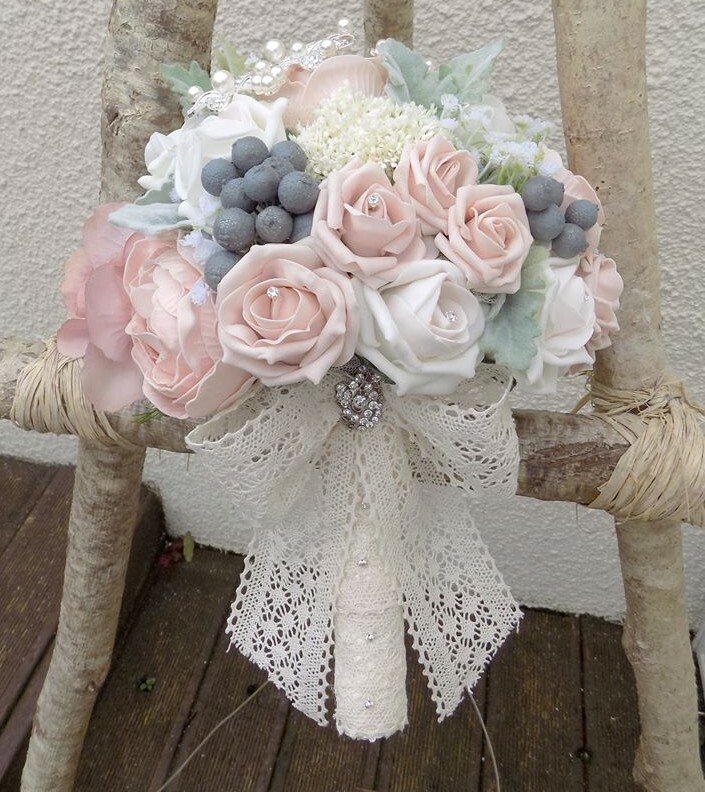 This family-run florist and flower wholesaler, based near Exeter, specialises in DIY wedding flower supply, but also offers both part and full wedding floristry services. Visitors are welcome to browse, but for a consultation, do book an appointment.